The leadership of the All Progressives Congress, APC, in Bayelsa State has reported the state Governor, Seriake Dickson to President Muhammadu Buhari. The party called on the President to wade into the harassment and intimidation meted on its members by the current governor of the state, Dickson. APC also claimed that the governor was putting undue pressure on the management of the Nigerian Agip Oil Company, NAOC, to withdraw contracts awarded to members of the opposition party in the state. The APC’s petition was signed and issued in Yenagoa, by its Chairman, Jothan Amos and Secretary Alabo Martins. The party said, “Only last week, the state Assembly invited one of our members whose company works for AGIP, to appear before it on allegations of breaching peace in Southern Ijaw Local Government Area of the state. The party said that “Bayelsa belongs to everyone and nobody should be denied business opportunities on the basis of party affiliations. “The APC in Bayelsa would like to advise the management of AGIP to stay out of politics and work with clients that meet their professional standards, more importantly, oil and gas are on the exclusive list in our constitution, so a state house of Assembly has no jurisdiction to dabble into such matters. 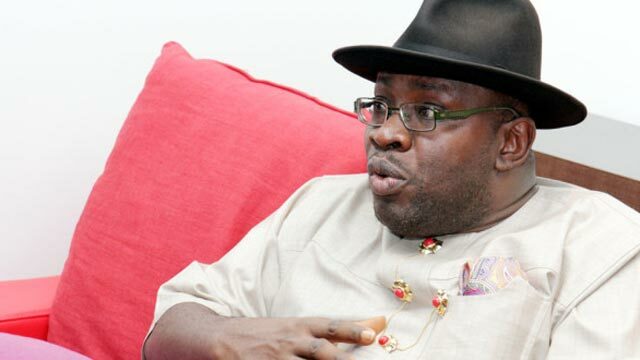 “Perhaps in this realization, we have it on good authority that Dickson is working with Bayelsa state representatives in the National Assembly to summon the management of Agip. Mr President, Sir, companies owned by our members are providing jobs for our people.